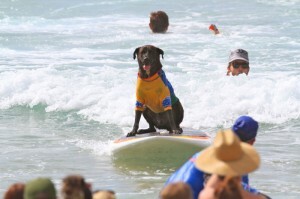 Now in its 24th year, the Noosa Festival of Surfing has firmly established itself as one of the leading surf cultural events in the world. It is also the biggest surfing event in the world by competitor numbers (more than 600 entries from 15 countries in 2015). 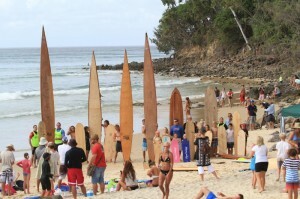 With perfect waves on five point breaks, free movies and live bands plus cold beer and wine at the festival village right on the sand in front of the break, it’s the world’s best surf party.’ From the seventh to the fourteenth of March the Noosa festival of surfing makes a return, playing host to the Joel Tudor duct tape Invitational. 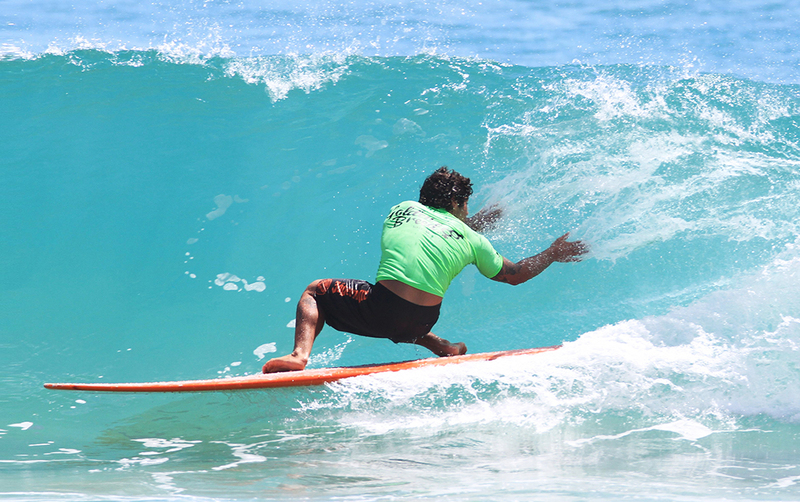 The ‘8 days of pure stoke’ is a traditional longboard surfing festival, with plenty of entertainment in and out of the surf. 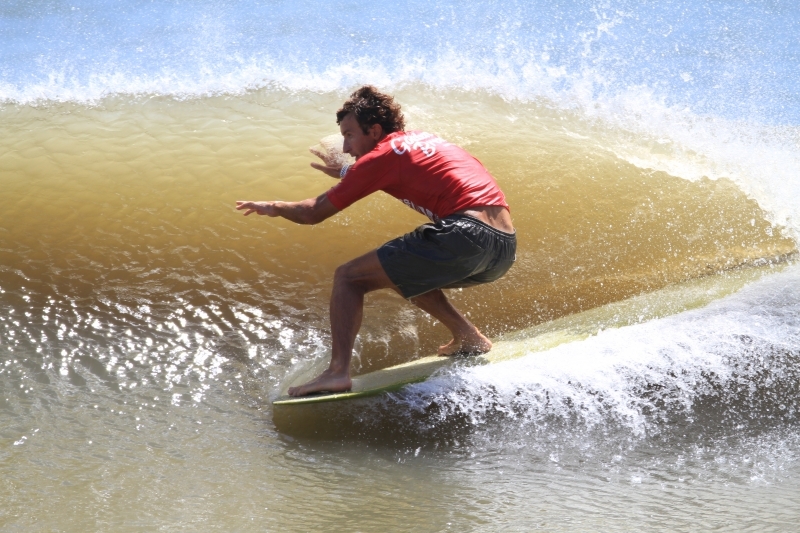 As for the invitational, ‘The Duct Tape has become the main stage for a new generation of loggers (Long-Boarders) such as Noosa’s Roach, California’s Alex Knost, Ryan Burch and Tyler Warren, the UK’s James Parry, and a host of others who had been largely ignored by the surf world. The contest is comprised of 16 invitees competing on traditional single fin logs with no modern attachments, such as leg rope plugs. In addition there is a no-interference, best wave shared aspect where surfers are encouraged to ride the same wave and see what they can make of it together. Nose-riding, cutbacks, and all other manoeuvres are scored, but it is style that is the backbone of what the Duct Tape really brings to competitive surfing’ taking competitive surfing back to it’s roots. During the course of the festival ten different local bands and musical talents will be showcasing all they’ve got, playing a number of shows throughout. There will also be four movie screenings for your enjoyment. Behind the Tide: – ‘Filmed in beautiful locations in Australia, Cornwall, and France, Romain Juchereau’s Behind The Tide provides an insight into creative individuals who have forged a living through their passion for surfing. It shows a different perspective on surf culture, focusing on those working independently and outside of the mainstream. From shapers to photographers, the film documents how art and a love of riding waves transcends both geographical and cultural boundaries. Featuring great surfers such as Neal Purchase Jr, Dane Peterson, Thomas Bexon, James Parry, Joe Davies, Nathan Oldfield and many more. Behind The Tide explores surfings nostalgia with the renaissance of longboarding, single fins, alaias, hand planing and tandem surfing’. 8 Days of Pure Stoke: – ‘Seven-times world champion Layne Beachley presents Noosa Festival of Surfing documentary, 8 Days of Pure Stoke. The one-hour documentary covers the history of the Noosa event as well as the history of surfing on the Sunshine Coast and the creation of the Noosa National Surfing Reserve. An archive of sensational footage of the Noosa festival makes up the backbone of this production, but it also features the best historical material from the last half-century to tell the story of the development of surfing and surfboard design along this wave-rich coast’. The Seedling: – ‘This is the first surfing film from Thomas Campbell. T.moe takes you on a journey through France, Mexico, California, Hawaii, the Canary Islands and New York. The Seedling is a documentation of a small pod of California log riders; Joel Tudor, Devon Howard, Kassia Meador, Dane Peterson, Seitaro Nakamura, Josh Farberow, Jimmy Gamboa, and special guest riders Skip Frye and Donald Takayama. Released in 1999 and shot entirely on 16mm film, it is still unmatched in soul, slide and glide compared to any other logging film out today. As Campbell states: “The Seedling is a gift to you, a movie in full trim” ‘. Deep Tube Riding: – ‘Pioneer surf cinematographer, filmmaker and board designer George Greenough recently found some lost 16mm waveriding footage from the late ‘60s. It has never been seen… until now. Long before HD video cameras went digital and dinky, Santa Barbara native George Greenough was strapping a full-sized film camera to his back and capturing POV footage from inside the tube. Not only did he envision the shot, he hand-built the water housing for his camera to make it happen. It was just one innovation of many from a man who helped define modern surfing as much as anyone in history’. 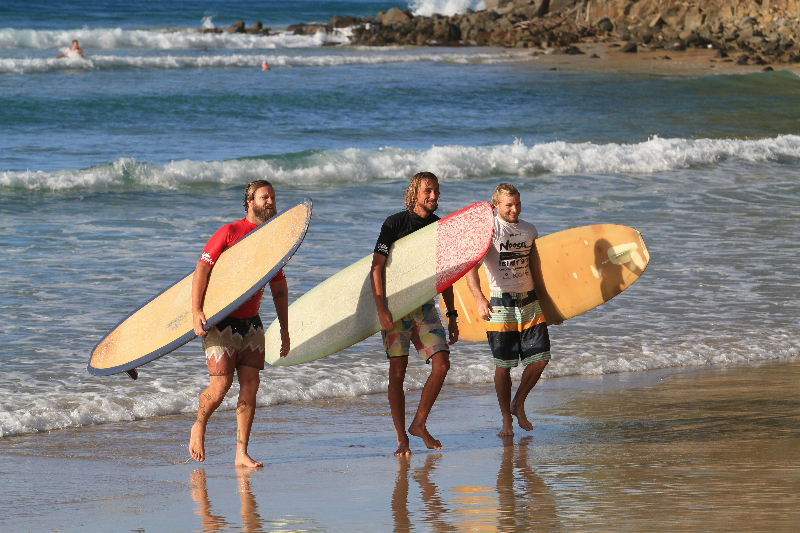 The Festival promises to be everything a Surfing enthusiast could ever hope for, and more. For more information on the Festival, visit their website where you can find out more about the festival, the invitational, volunteer a helping hand, sign up for a chance to compete, buy merch and more.